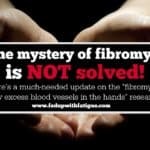 This article about the new iQuity fibromyalgia blood test was originally published on NationalPainReport.com and is being republished here with permission from the editor. iQuity, a Nashville-based data science company, is now offering a blood test to aid in the diagnosis of fibromyalgia. The IsolateFibromyalgia test relies on RNA gene expression to identify fibromyalgia. After comparing the three groups, iQuity researchers were able to identify a specific lncRNA pattern among those with fibromyalgia. 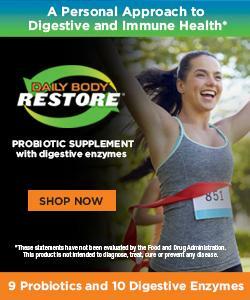 iQuity offers similar tests for multiple sclerosis and IBS/IBD. Asked if the pattern sheds any light on the underlying mechanisms of fibromyalgia, Spurlock said it’s too early to tell. The IsolateFibromyalgia test costs $599 and is not currently covered by health insurance. Patients who can’t afford the test outright can apply for a six-month, no-interest credit option through Paypal Credit. Patients without a medical provider will soon be able to access the test via HealthTestExpress.com. iQuity requires a doctor’s order for the test, and results are usually available within seven days. Since the test is new, iQuity has developed a brochure that patients can print and take to their next doctor’s appointment to facilitate conversation. 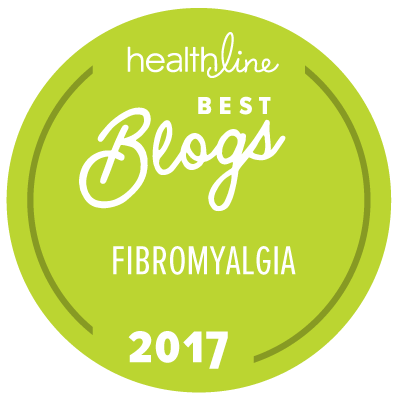 Fibromyalgia is generally a diagnosis of exclusion, meaning physicians attempt to rule out conditions with similar symptoms before diagnosing fibromyalgia. 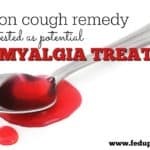 There is currently one other fibromyalgia blood test on the market, the FM/a test from EpicGenetics, although it is not widely accepted by the medical community. 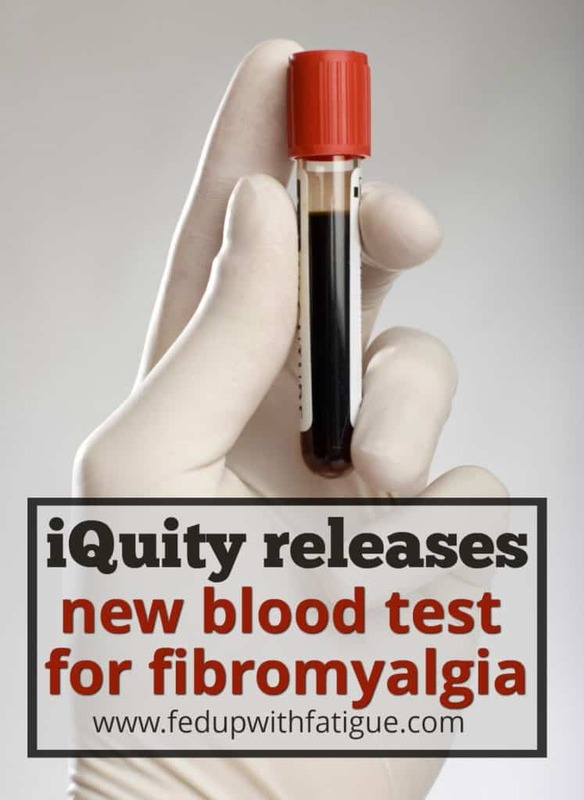 Now it’s your turn: Would you be interested in having iQuity’s new fibromyalgia blood test? Why or why not? Share in the comments! Yes I am very interested in both blood tests. I have nothing to loose; I’ve spent 43 years searching for acceptable diagnosing and waiting on an effective pain killer while research tries to develop possible cures. Very interested, but don’t want to pay for it. If insurance eventually covers it, I will definitely request this test. Extremely interested, but has the test gone through trials other than this one. We need a bit more information on these FM tests to really see if they can really diagnose Fibromyalgia. Until they get some more testing done by others to back op their work, and then through the FDA to certify they work, I am still hesitant. Plus the price, many of us cannot afford that much — especially those like me that have lost their job and can’t work. Until it goes through more processing in which it will be acceptable by higher authorities and then insurance companies, I am not sure what good it can do. Though I would be interested to volunteer for a test from both the IsolateFM and the FM/a tests to see if they came to the same conclusion. Now I think that would be a study that would show which path or theory is more significant than the other. How could I possibly get that study going? OK, so a fibro test. Started having issues in 1997. I was diagnosed in 2001. Usual meds at that time, pain rx’s and antidepressants. Couldn’t take any of them, they all made me feel worse. Changed my diet to organic and gave up soda and sugar. Went gluten free as a DNA test confirmed I had celiac and intolerance genes. I had to stop working in 2007. 2012 to 2015 I went through extreme exhaustion. My symptoms have intensified and multiplied since 1997. Now I am getting a divorce. My ex refused to believe I was” so sick” I could not work.. The judge says she has friends with fibro who work so why can’t I? Diagnosing is only the beginning of this fight. and pain can not even get us in the shower let alone into the work force. As we age other illnesses and ailments will contribute to our pain. Depression and anxiety from years of suffering will surface. The medical community has got to step up. 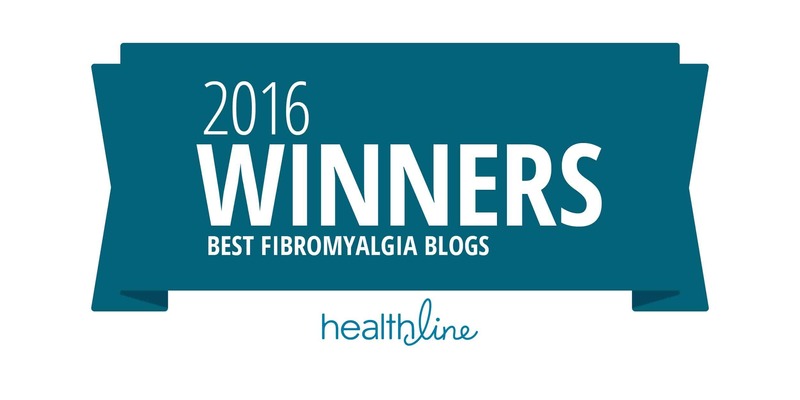 Doctors must explain the real suffering of their fibromyalgia patients. NOT “it makes you achy like the flu”. 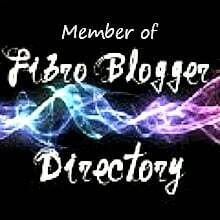 Doctors must give disability diagnoses to their fibro patients. We will continue to be disregarded and believed to be whiny, lazy, dramatic until Doctors believe their patients and are brave enough to go to battle with us! Hi Vicky ~ I am so sorry for you……just curious…or perhaps more than curious….I was diagnosed with FM, but now have only minor symptoms. Have you heard of the connection between FM and amalgam fillings? Do you have black or silver fillings in your mouth? I did. After getting them removed and going through detox, I was cured. Check out my blog at mercury4dummies.blogspot.com – I am not selling anything – just providing some information for people who may have symptoms of a disease when really they have a high level of mercury in their brain and body. I had a Rheumatology Professor diagnose me in 1996 whilst I was a hospital patient. The Rheumatologist that I have had for the last 20 years has always agreed with the initial diagnosis. The reason I am pleased about the blood test, if it is “fair dinkum”, is two fold. One is for those who are younger than me and two is for the possibility that it is an entre’ into the knowledge of what, why and how fibromyalgia exists. I am also very interested in these tests….mostly for how they may offer a better understanding of what is going on and a cure. The price is too much for me. 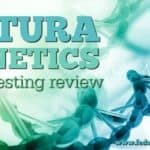 Why is the test from Epigenetics not accepted by the medical community? Medicare covers it in full and it confirmed my rheumatologists trigger point test. I’ve never had a physician who disputed the results. From what I understand, there is a belief that EpicGenetics did not conduct enough research to verify the test is indeed picking up fibromyalgia and not something else. Do you know what the “something else” could be? addition to a positive trigger point test? For me, the big elephant in the room is chronic Lyme disease. Symptoms of fibromyalgia and chronic Lyme are the exact same. Chronic Lyme will affect the same cytokines that EpicGenetics is using to detect fibromyalgia on its test. So, the question is this: Is the FM/a test really detecting “fibromyalgia” or is it detecting chronic Lyme? There may be other diseases that may affect those same cytokines, too. EpicGenetics only compared fibro patients against patients with lupus and RA. I’m not convinced either of these tests are detecting fibromyalgia. My insurance also paid for most of the Epigenetics FM/a test 2 years ago and said I was negative. My doctors have tried finding out deeper info about them, but are unable to. They (primary/rheumatologist/functional doctors) all believe I do have it. I’d rather wait to have the blood test, until the research is farther along. While it’s wonderful that a specific common incRna pattern common to fibromyalgia sufferers seems to have been identified by this blood test, we still have no idea why. So, having this having been said, my answer would have to be no. 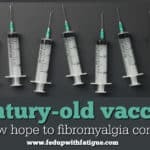 The fact that there is now a blood test for Fibromyalgia makes me hopeful for others. I had to go through years of pain, multiple symptoms, & the severe anxiety & depression from not having any idea what was going on with my body. 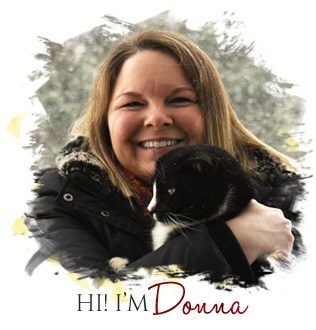 I am the momma of 5 children & was very active & working as a CNA when things started to go very downhill for me. It is extremly scary when your steadily experiencing more & more pain & fatigue no matter what changes you make or attempt to do. Then going through test after awful test to eliminate diseases one by one is not only exhausting but a rollercoaster of emotions. Which leaves you feeling like nothing more than a guinea pig. Plus you still have to stay strong for your family & provide them with what they need. So whenever your alone whether its late at night when the anxiety of it all has you wide awake or on the way home from yet another doctor appt. you cry. You cry, you scream, you beg god to help figure out why your very own body has become your worst nightmare. I haven’t even touched on what this can do to a marriage, family, friends, or your self esteem. Sadly we are for the most part people that need to see proof. When the fact is it is very hard to prove to others the pain your in, the exhaustion from all of the pain, multiple symptoms etc. So others, even doctors or your loved ones start to believe your making it up, your exaggerating your pain, your just plain lazy, or worse its all in your head & your crazy. The worst is, because it takes so long for a diagnosis you end up believing maybe everyone is right. I had to quit working, I had to learn to stop pushing myself so hard, I had to convince myself I was not crazy. By the time I recieved my diagnosis instead of it scaring me or making me depressed it made me happy. Now that is crazy. Because of all I had been through, lost, given up it made me happy to finally have proof for not just myself but my spouse, family, friends. Proof it wasnt all in my head. I never want for anyone to have to experience that pain. Not just the physical pain but the pain of the ones you love so much not believing you or just not understanding. Even with my diagnosis I still have many doubters. Because I dont have the proof some need to see. I sincerely hope this blood test helps others to get answers much quicker. My biggest hope is that insurance companies start paying for it. So more can get results & help before they have to look back at all they have lost during this fight that was never asked for or wanted. Perhaps I am uninformed or nieve, but if I had such a test with a negative result I would worry that it would taint my physician’s treatment protocol to be dismissive and/or lean toward psychotherapy. Would a negative or positive result modify what treatment would be covered by insurance? How would friends and family view me differently after I’d been telling them for years that I have fibromyalgia. I’m not sure that I would spend the money at this point. I definitely have all the trigger points but I am also about to have disk fusion surgery. I read that spinal problems can be misdiagnosed as fibromyalgia. So, if it is spinal, then there is something they can do for it. 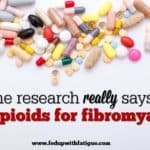 If it is fibromyalgia, there isn’t much. I will reassess after the surgery. 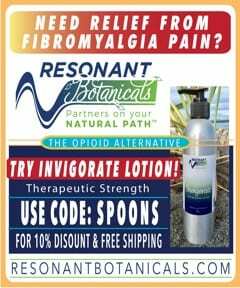 I would love to have the test but will not be able to afford it like most tests/protocols/ supplements/special foods needed to get better with fibromyalgia. It’s the same reason for me Maria. When my husband had a good paying job and insurance covered some treatments I was able to go the natura and healthy route but he’s disabled now so we only go with what insurance covers. Hopefully these tests will be soon. I am so happy to learn about this test The article on your site is very informative. 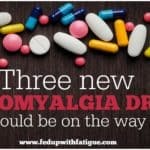 I want to finally know for certain if all of this pain and suffering is actually fibromyalgia or not. Thank you for this info. You are a Godsend! Hi, yes I would take the test as Dr. David Brady who is well known in the functional medicine world says fibro can be misdiagnosed. If only we could get our health professionals in Australia to recognise this condition. It would be fantastic to have this blood test available to other parts of the world without the huge costs attached to it.